AMMONNEWS - After finishing the Premier League season as the top scorer after setting Liverpool on its way to a 4-0 win over Brighton on Sunday, Mohamed Salah claimed the league’s Golden Boot award. The Egyptian forward lifted the Golden Boot, given to the league’s top scorer, to loud cheers after the game. As Salah paraded the Golden Boot, there were wonderful scenes as his daughter, Makka, came onto the field and kicked about a ball to loud applause from the Liverpool fans who stayed behind after the final whistle. 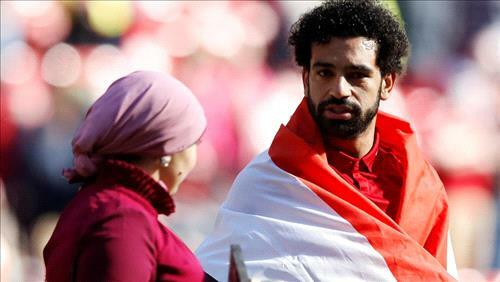 Salah’s wife Magi also made an appearance standing on the sidelines of the football pitch, looking on at her daughter showing off her football skills to the eager crowd. Several fans took to Twitter to commend Makka's football skills.